Inspection of all belts and hoses. Among all the equipment in your vehicle belts and hoses have the shortest life span due to consistent exposure to heat vibration and harmful chemicals. These components invariably crack leak freight and peel. If not promptly replaced and maintained, this could spell disaster for the performance of your vehicle and evaluate the condition of your belts and hoses only on their appearance is not enough! The timing belt is a notch of a rubber belt that allows the crankshaft to turn the camshaft a timing belt is sometimes called a Gilmer belt or a camshaft drive belt. The camshaft opens and closes the valves in synchronized movement with the engine’s pistons. If your timing belt breaks, your engine will stop working and typically will cause major engine damage. 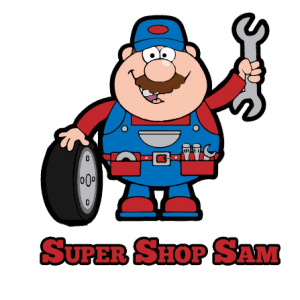 That’s why it’s important to have your timing belt regularly inspected of the belt is loose or has slipped the valves could open at the wrong time and be struck by your engines pistons warning sounds include a slapping noise coming from your engine. This indicates a slipped belt. Serpentine belts also known as drive belts provide power to the air-conditioning compressor, power steering pump, cooling fan, air injection pump and more. If your vehicle serpentine belt ranks, all of the engine parts. It is powering will stop working, and your engine could overheat and be damaged. 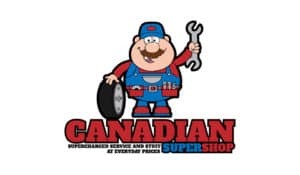 Canadian super shop automotive technicians look for cracks where and stripping to determine if your serpentine belt is in danger of failing. Like the timing belt. We recommend having your serpentine belt inspected every time you have your oil changed. Warning sounds include a screeching noise coming from your engine, especially during startups on cold mornings or sharp turns. Studies have shown that serpentine belts most often fail between 80,000 to 100,000 km, it’s recommended to change your serpentine belt before this mileage. Coolant hoses include the upper and lower radiator hoses plus heating hoses. Some cars include a bypass hose hoses provide a flexible connection for coolant flow between the engine radiator engine and heating block. Tiny cracks can and form from the inside that can eventually lead to a burst hose and overheated engine. Have your vehicle hoses and accompanying clamps inspected twice a year. Engine squealing upon starting your car. Hoses rot become brittle, cracked burst split. Belts become brittle cracked or worn. Noticeable fluid loss or money your car. Steam rising from your engine. Why is it important to service belts and hoses. 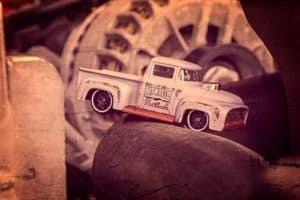 Belts and hoses problems may lead to a number of problems including an overheated engine, loss of power steering or loss of the electrical charging system. When a hose leaks coolant or a belt, turning the water pump snaps the cooling system will shut down. Engine may lead to serious internal damage which will result in the need for expensive repairs. While overheating can occur anytime. It can be especially problematic in the summer months when outdoor temperatures are high. Excessive heat can trigger escalate deterioration of rubber components. Detecting weakness and problems before trouble occurs on the road with regular inspections of belts and hoses. A visual inspection by Canadian super shop on a regular basis will help ensure that these items are in good condition. This can prevent costly repairs and towing while on the road. We inspect and replace your belts and hoses at a competitive price so you can prevent these provincial problems from ever happening or becoming an issue. Four versus two winter tires: Which is Best? new rims new winter tires?